The Modena Classic mattress is the base-level Rest Assured mattress from their iconic and best-selling Silhouette collection. Although the cheapest Rest Assured mattress, Modena doesn’t cut any corners in terms of build-quality, it merely has slightly less impressive specifications but this is what you’d obviously expect in such an affordable option. What the Modena Classic mattress does offer however is a great all-round mattress with the tried and test Bonnell coil spring system, a generous layer of eco-comfort fibres, and a sumptuously soft woven damask cover. 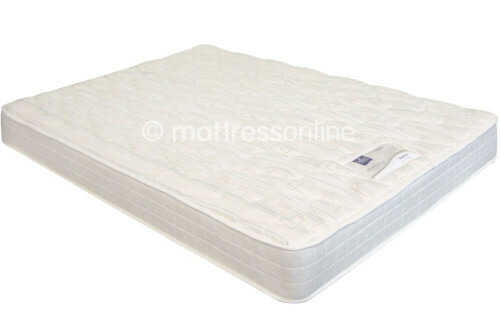 As this is a budget mattress, it has been specifically designed for usage with bedsteads as these tend to also be the cheapest types of bed as opposed to divan bases. This has been achieved by adding a reinforcing layer to the base of the mattress which bridges the wooden slats to extend the life of the bed and a slip resistant surface to stop the mattress travelling. The Rest Assured Modena Classic mattress will however of course work just as well with a divan bed if this is your preference. 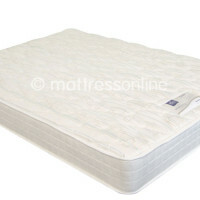 Rest Assured are one of the biggest names in the mattress game and as a trusted brand offer a lengthy 5 year warranty. They’ll also offer free pillows with your purchase of this mattress through our recommended retailer who have great prices and free delivery to boot. They’ve received great reviews over the years and are in my opinion the best online mattress shop around.